Nora Ephron, Filmmaker, Author, Dies : The Two-Way The celebrated author and filmmaker behind such hits as Sleepless in Seattle and When Harry Met Sally died in New York of pneumonia brought on by acute myeloid leukemia, her son Jacob Bernstein told The New York Times. Ephron was 71. Nora Ephron at her home in New York in 2010. Nora Ephron, the celebrated author and filmmaker behind such hits as Sleepless in Seattle and When Harry Met Sally has died. She was 71. The cause was pneumonia brought on by acute myeloid leukemia, her son Jacob Bernstein told The New York Times on Tuesday. Here's NPR's Bob Mondello discussing Ephron's work with Melissa Block, host of All Things Considered. Ephron is survived by her husband Nicholas Pileggi, the author and screenwriter. She was married twice previously: to writer Dan Greenberg, and reporter Carl Bernstein. The New York Times said she's also survived by her sons, Jacob Bernstein and Max Bernstein, and her sisters, Delia Ephron, Amy Ephron and Hallie Ephron. "Romantic comedy was always a treacly form and she came into it. She's a woman writing in a male-dominated industry and she wasn't willing to put up with that. So her movies became a little more strong." We'll have audio of that interview as soon as it's available. Ephron's death was confirmed to NPR by her friend Richard Cohen of The Washington Post who was at the hospital Tuesday when she died. NPR's Mandalit del Barco is reporting on the death for our Newscast unit. 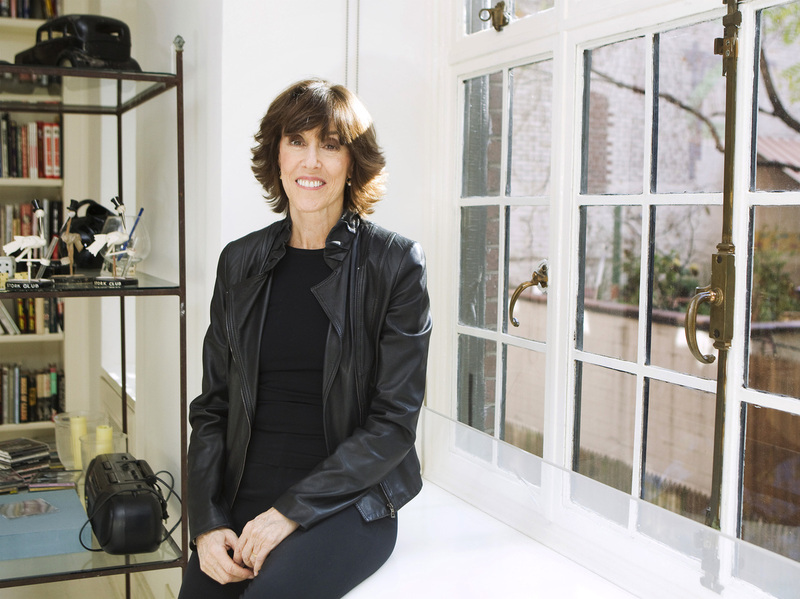 "Nora Ephron was born in New York and raised in Beverly Hills, the daughter of screenwriters. She became a journalist at the New York Post, Esquire and The New York Times Magazine. Her second of three husbands was a reporter, too: Carl Bernstein, of Watergate fame. In Hollywood, Ephron wrote the hit romantic comedy When Harry Met Sally. That earned her a best original screenplay Oscar nomination. So did her film Silkwood, and Sleepless in Seattle, which she directed. She also reunited Tom Hanks and Meg Ryan for her movie You've Got Mail. Ephron wrote about relationships, aging and even butter. Her last film, Julie & Julia, was about chef Julia Child." Washington Post columnist Richard Cohen confirmed Ephron's death to the newspaper. "As a woman in the male-dominated movie business, Ms. Ephron was a rare 'triple-hyphenate' as writer, director and producer. But making movies for and about women was a battle, at times. She observed how, to male studio moguls, 'a movie about a woman's cure for cancer is less interesting than a movie about a man with a hangnail.'" Ephron also spoke to NPR's Talk of the Nation in 2006 following the release of I Feel Bad About My Neck, her book of essays. In an interview with NPR's Renee Montagne in November 2010, Ephron was wistful about the implications of aging. "You do get to a certain point in life where you have to realistically, I think, understand that the days are getting shorter, and you can't put things off thinking you'll get to them someday," she said. "If you really want to do them, you better do them. There are simply too many people getting sick, and sooner or later you will. So I'm very much a believer in knowing what it is that you love doing so you can do a great deal of it." News of Ephron's illness became public on Tuesday when her friend Liz Smith, the celebrity columnist, published what looked like a memorial for her on the website Women on the Web. She told The Associated Press Ephron's son Jacob had told her the filmmaker was dying. "I was confused because I was told to come to the funeral on Thursday," Smith told the AP. "It's bad enough." Ephron, one of the most influential women in Hollydwood, is also known for the book Crazy Salad and for the movie Julie & Julia.